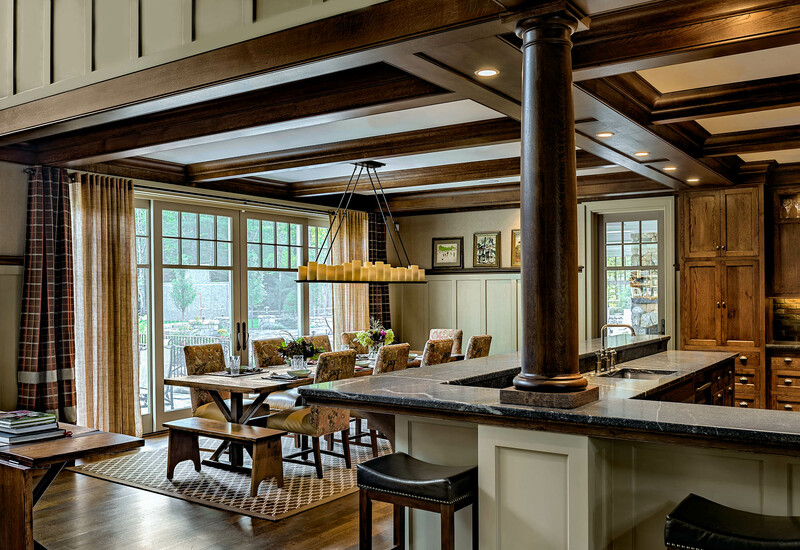 This young family was searching for a traditional New England home that would support their active lifestyle. 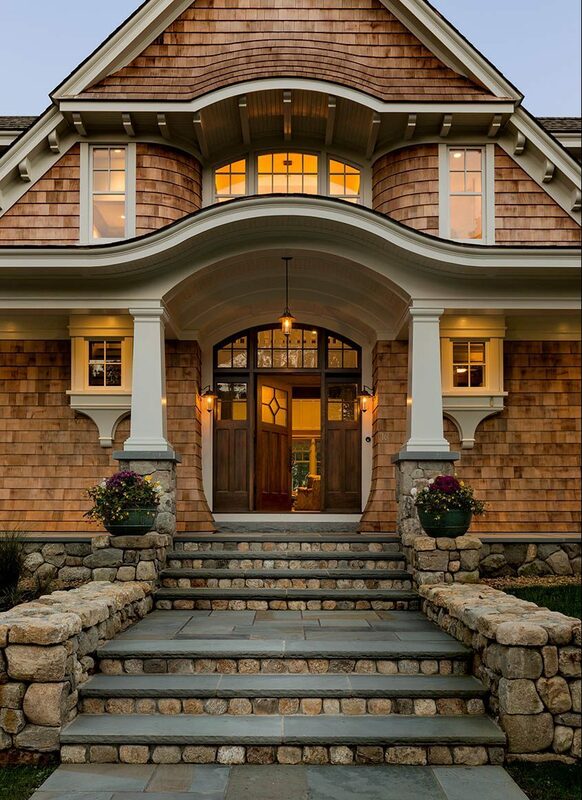 The traditional exterior embraces you with its entry porch, recessed openings eyebrow windows, detailed brackets, corbels and protective eaves. Much of the size of this 6 bedroom home is masked by the inventive massing which tucks the second story into a series of gables and dormers. This still allows for large expanses of glass, linking the home to its surrounding hilltop surroundings. Large, open plan, living spaces accommodate a large family and visiting friends. 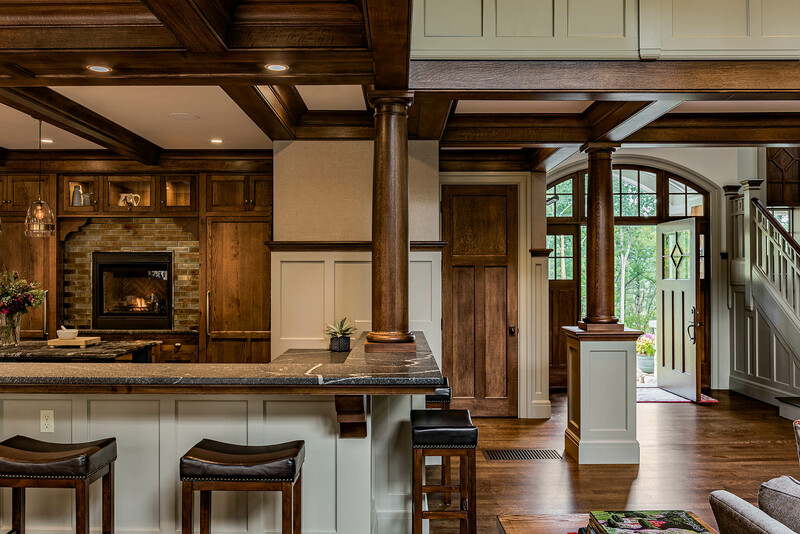 These over-sized rooms still remain intimate, joined together by their wood beams, brackets, picture rail, wood accents, wainscoting and cabinetry. The central double height living room organizes the home around a central fireplace. 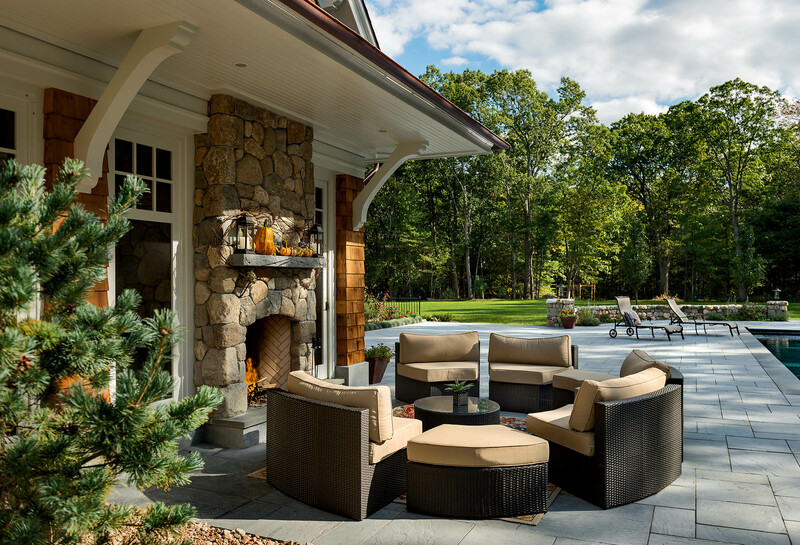 The high over-sized windows and doors extend the living spaces to the many exterior spaces including a 3 season screen porch, exterior fireplace, pool & pool house with 3 story climbing wall as well as a soccer field.